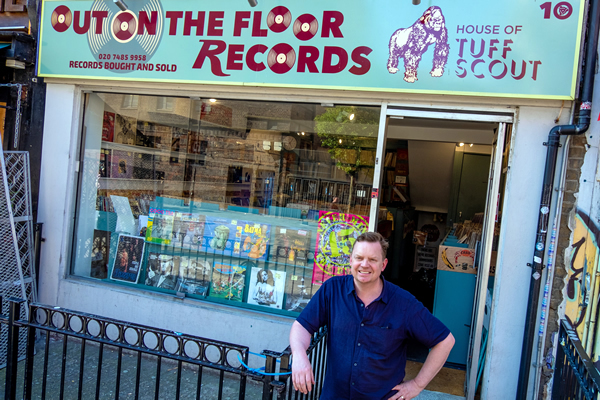 OUT ON THE FLOOR RECORDS was started 30 years ago by Alan Jones and takes it name from the Northern Soul classic by Dobie Gray. Mick and Fin took over from Alan in 1999 and Jake came on board in 2003 .The shop has always specialised in both new and original vinyl across all genres.Expect to find all the usual big name bands and artists along side more obscure music. 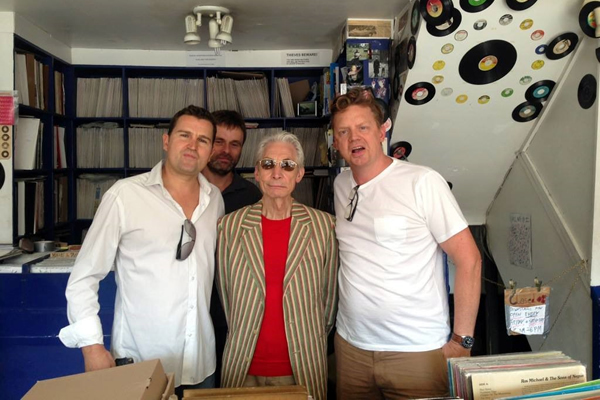 Mick is a big Bowie and punk music fan while Jake who has been collecting reggae from the late 70’s has made sure the shop is full of new and vintage Jamaican music.The shop probably holds as much original press reggae as any shop in the UK . Every August bank holiday weekend the shop is full of customers from around the globe looking for ska and reggae, they are in town for the Notting Hill Carnival. Jake also runs the Tuff Scout reggae label which has recorded the likes of Big Youth,Lee Perry and Papa Levi. He also does the occasional bit of DJing, when he’s not looking at record collections or serving customers. As if one shop wasn’t enough. In the basement of Out On The Floor lives the legend that is Rok Pete and his independent record shop/ label Ra-Ra Rock records… crammed full of more new and used vinyl. 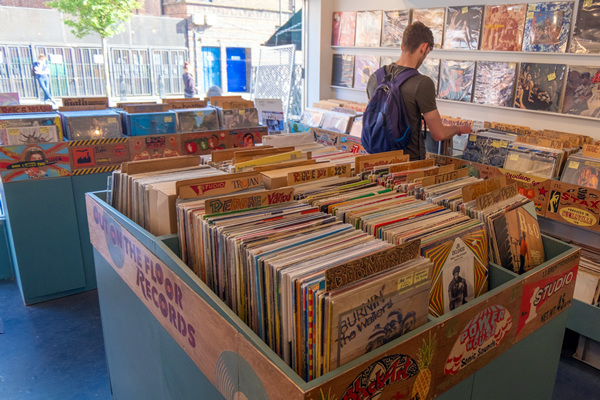 London-based independent record label and record store.